We are pleased to announce the appointment of our new Conductor – Lawrence Tatnall PG Dip BMus. We started the recruitment process for a new conductor nearly a year ago, with 22 applications, 8 interview candidates, a final shortlist of 3 and then 2 conductors covering alternating rehearsal weeks this last term and sharing the baton at the last concert. Congratulations have to go to Angelo Tsocos, who made the final two in this process who acquitted himself admirably – but we could only have one conductor! We’re very excited to be working with Lawrence and planning out some exciting programmes for the next concert season. In the meantime, tickets are already on sale for our summer concert “THIEVES, LOVERS & PRINCESSES” which takes place on Saturday 22nd June at Frances Bardsley Academy, Romford. See Lawrence’s biography at Lawrence’ Biography. We rehearse at North Street Hall in Hornchurch on Wednesdays. Our concerts are at Frances Bardsley Academy, Romford and at the New Windmill Hall, Upminster. Please see the join us section. 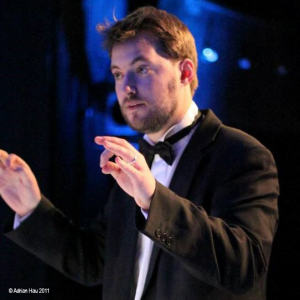 We are proud to be an amateur orchestra involving all members of our community.